This post is a guest contribution from Ananya Banerjee. Spell-checkers have, in a way, always existed for writers and helped them write better. Earlier it was in the form of people who acted as proof-readers, who would dedicatedly go through massive amounts of texts to look for possible grammatical and language errors. And there would be friends and relatives who would do the same with a lot of coaxing and pleading, at times. The creation and use of spell checker apps, add-ons and online tools has made life easy for so many people across the world today. People wanting to write a soulful greeting in a card, people wanting to express themselves through short stories or essays, and people who ‘need’ a spell-checker to get past their day-to-day written work. Also check out one of our previous article on Improving Writing Skills. For all the people mentioned above, the internet comes handy and can solve most of their grammatical woes instantly. 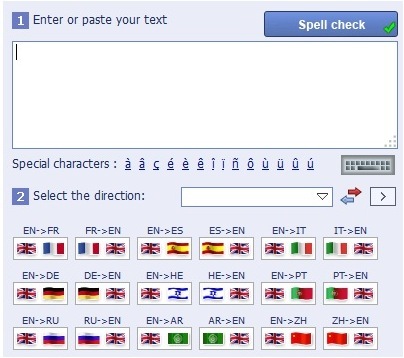 The usage of spell checkers for the purpose of writing could be considered lack of grammar skills on part of the writer. It could also be that the writer’s inability to avoid simple grammatical mistakes could make his or her talent questionable. But one needs to realise that these spell checkers are not used to make up for missing talent. They aid us in this age of speed; the age where every task can be allotted very less time. A major amount of people use these apps and add ons in order to give their reader a better experience and, of course, increase their credibility too! This post is written by Ananya Banerjee who has been working as a blogger with Meritnation.com, a leading online education website in India for the k-12 segment.